Daun Waru. (hibiscus Leaf Shampoo) For normal hair - Hibiscus leaf shampoo has been traditionally used to stimulated hair growth. Prevent hair loss and maintain healthy hair. 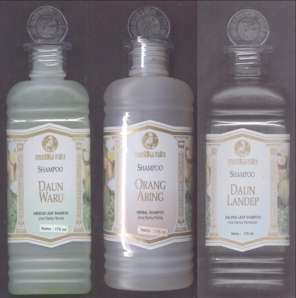 Orang Aring ( herbal Shampoo) For dry hair - This shampoo contains herbal extracts to delay the onset of gray hair and maintain the natural color of the hair. Daun Landep (Baleria Leaf Shampoo) - This baleria leaf shampoo helps keep hair healthy, maintaining the dark sheen of the hair and strengthening hair roots. Bayam (Spinach Shampoo) For hair loss - Spinach shampoo is processed in accordance with strict health requirements and modern technology. The natural ingredients in spinach extract (amaranthus hybridus) maintain health hair, minimize hair loss and stimulate hair growth. Kacang Hijau (Green Bean Shampoo) To Revitalize dull hair - Green Bean Shampoo contains Vitamin E and Vitamin B which revitalize dull hair. 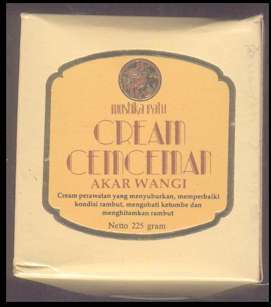 Minyak Cem Ceman Murni (coconut hair oil) - Made of natural coconut oil traditionally processed and blended with fragrant leaves and herbs to stimulate hair growth. Helps keep hair in health condition and strengthens hair roots. 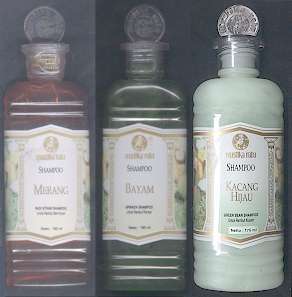 Massage evenly on scalp before sleeping each night or massage on scalp before washing hair. Ramuan Penyubur Rambut (quinne hair tonic) - This hair tonic is processed from the leaves of the quinnine tree to help stimulate hair growth . Apply evenly on scalp every morning or evening particularly on areas where hair is thinning and lightly massage. Wash hair, apply Cream throughout on scalp especially where hair falls, on bald or dandruff-attacked areas. Slowly rub and massage for 10 minutes, then cover with a hot towel for another 10 minutes. 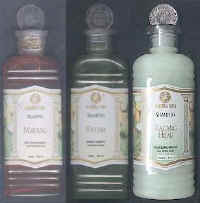 Was again afterwards with Bram Shampoo (shampoo Merang or Orange Aring Shampoo. 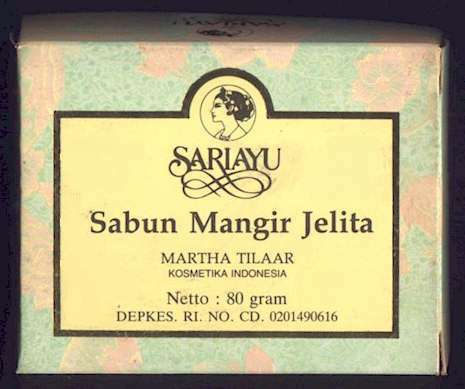 Mangir Soap is made from a traditional recipe for practical use, and has the dual purpose of cleansing and maintaining the health of the skin. 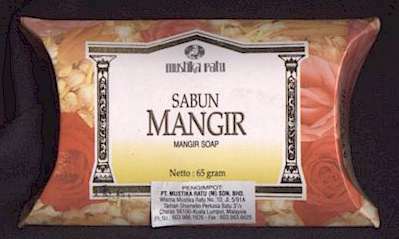 Mangir Soap helps to soften the skin as well as giving it a natural , fresh smell. 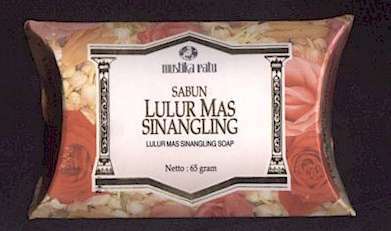 Lulur Mas Siangling Soap is made from a traditional recipe that has been handed down from generation to generation. 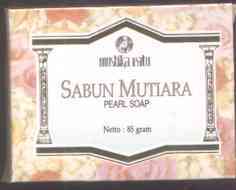 It is used to clean the body as well as make the skin soft and supple. Beauty soap made from natural ingredients such as pure herbal oil. Instantly reactivates skin cells and keeps it in perfect function. 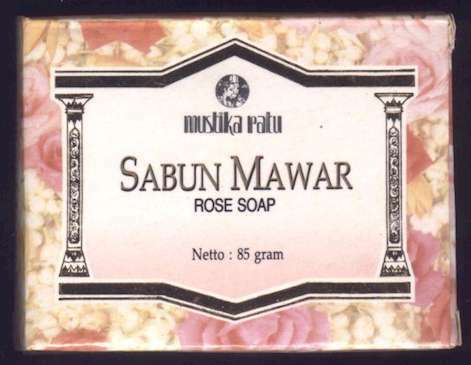 With its extravagant perfume and soft lather it reduces the oil production of the skin and makes the complexion fresh, soft and clean. For oily and acne prone skin. 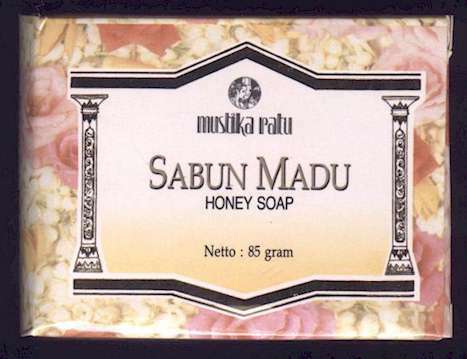 Beauty soap with special honey extract is a new formulation. Honey is a highly potential source of energy containing ensima, invertas and diastase, it is most suitable for the treatment of the skin keeping it fresh, soft and healthy. For dry and dull ski.